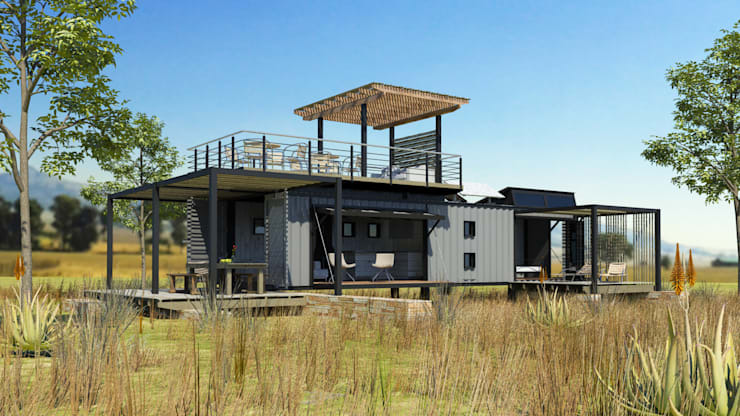 Container homes are fast-becoming a must sought-after genre of architecture, thanks to the cost-effective opportunities they can offer and we are simply blown away by how incredible they can look! 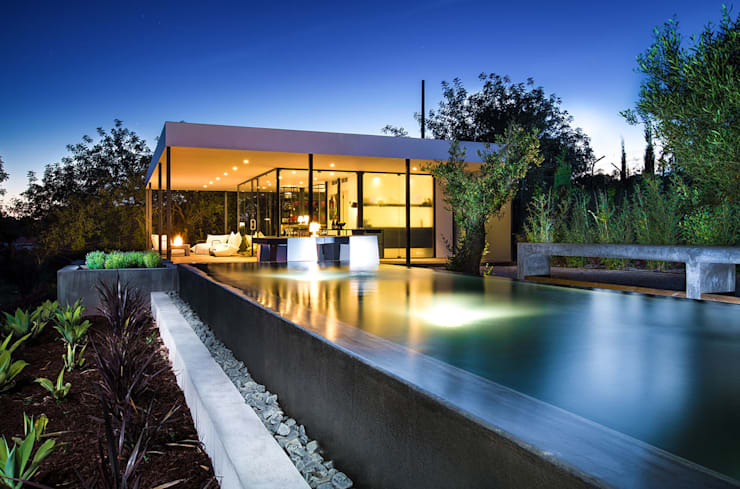 We have to tip our caps to the architects that created these particular designs that we are going to show you today, as they are just phenomenal and have changed the face of contemporary home design forever, but these innovative homes offer so much more than just great aesthetics. Thanks to the relatively cheap materials used, these innovative designs are a great alternative for anyone looking to get on the property ladder, so if you've been struggling to purchase a home, perhaps these might inspire you to build something a little different! Let's take a look! 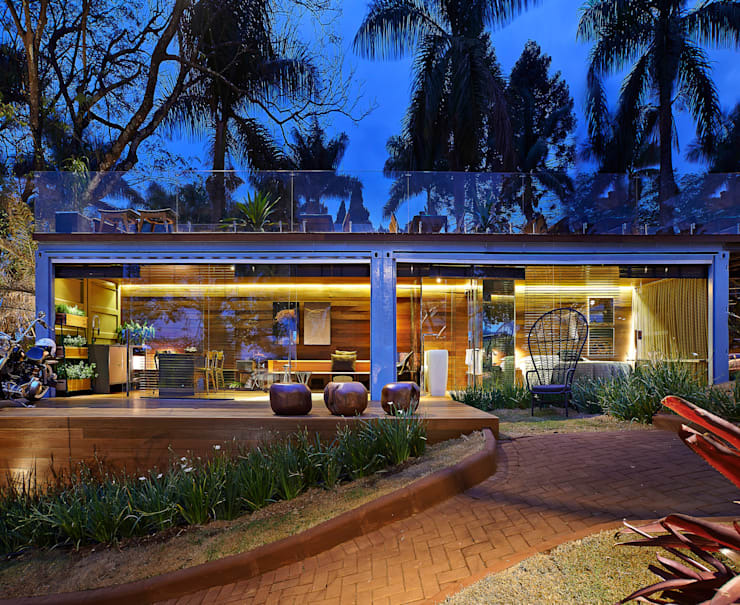 This amazing off-grid house in Johannesburg lightweight and energy efficient, while also looking phenomenal in terms of the materials that have been used. The stilted construction is staggering and with 210m² of total interior space, you can't say it isn't spacious as well! Talk about motivation to turn your back on more conventional construction methods! What we love about this container home is that it makes no bones about how it has been created, so while you can clearly see that this is an upcycled container, there are so many luxurious touches included. Just look at the roof terrace, if you need any convincing that a container can be a sociable and part-ready space suitable for families and singletons alike! 3. Some amazing colour use! 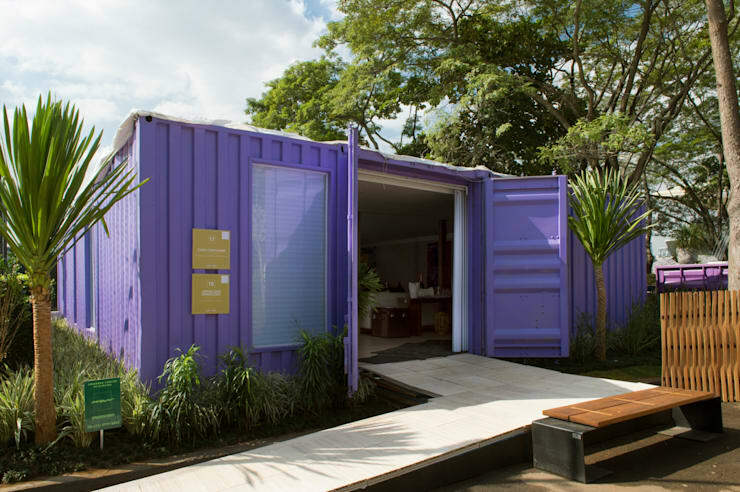 If container homes could be a viable option for you, but you worry that they will always look a little too industrial, check out this violet wonder! As pretty as a picture, the façade is undeniably fabulous, but just wait until you see inside! You're not going to believe it! Would you have ever guessed that this was a container home, if you didn't already know? No? Neither would we! 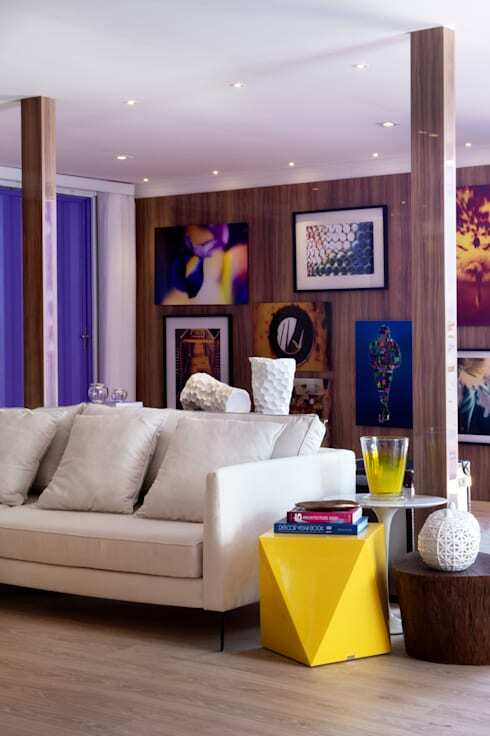 Finished to the highest standards, with creative wall coverings and stylish furniture, this could be a high-end home of any construction method, but knowing what it is actually made from makes it even more impressive! Want a little more bang for your buck? Container homes can offer you two-storey living in the blink of an eye, as they are designed to stack on top of each other perfectly. Unusual windows and an open-plan ground floor that extends easily into the garden has made this container home so much more than a couple of stacked steel boxes; it's an extravaganza of imagination! 5. Open-plan and opulent as hell! 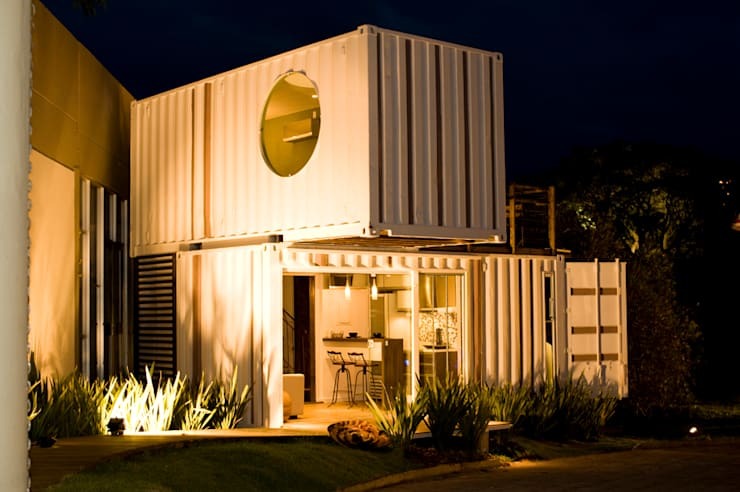 Is it too early to say that we LOVE this container home? Staggeringly simple in construction, we think the open-plan design here has been perfectly amplified with a wall of glazing and that roof terrace! By creating two floors, without using two containers, this home is really keeping the costs down and still showcasing delectable style. 6. A whole new concept. This is so much more than just a house; it's a mobile living concept. What you see here is a 40ft high cube-shaped shipping container being used as the outer shell of a beautiful home that has been transformed beyond all recognition with a host of amazing architectural touches. We can see, even from here, that it is so comfortable as well! 7. The future of housing? 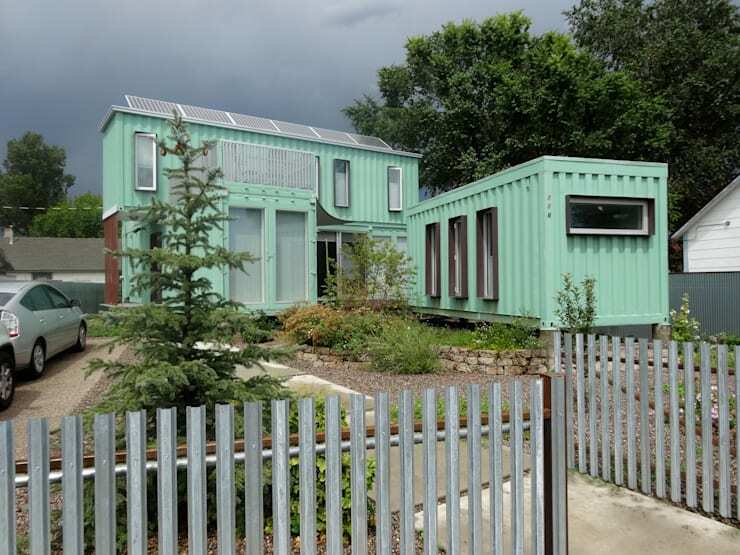 We bet that you're already feeling convinced of the genius of container homes, but just to solidify your stance, we had to show you this mint-green marvel! 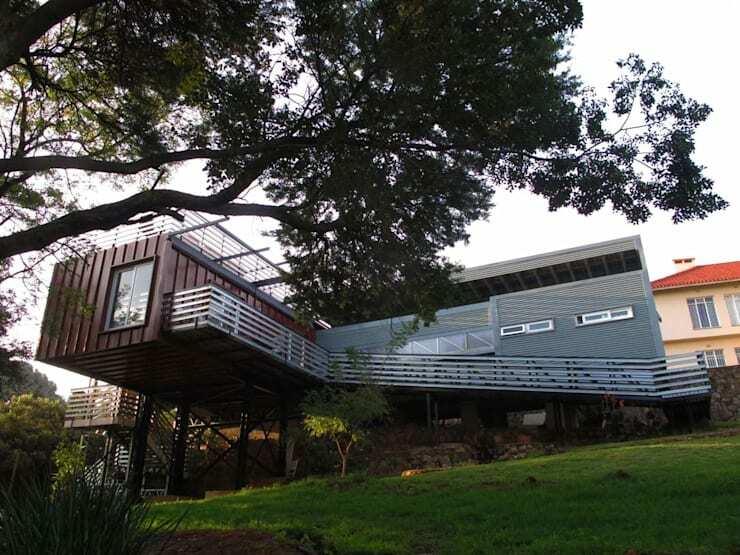 Three separate shipping containers have been combined to offer the ultimate in large and unusual home design and what we particularly like is that the far right container is actually a self-contained home office! What a way to combine work and play! Would you consider a container home design now?